Unfortunately, tragedies happen in life, and some of them can take multiple lives from us in one inexplicable event. When those lives are from a single family, it’s heartbreaking for all involved. But it’s also important to celebrate and commemorate their lives with reverence, both as individuals and as a family unit. 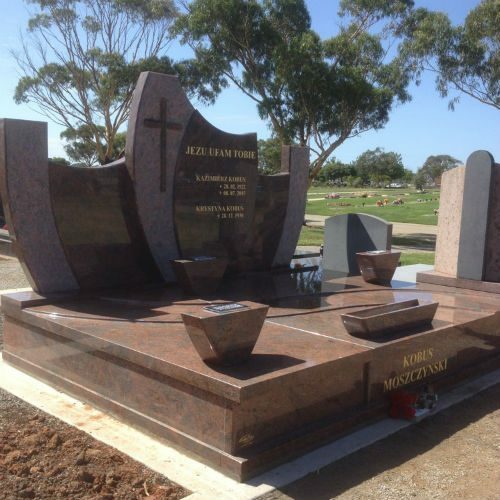 At Lodge Bros Stonemasons, we can craft triple monuments that will allow your loved ones to be laid to rest together beneath a monument that finds the perfect balance between understated and elegant. 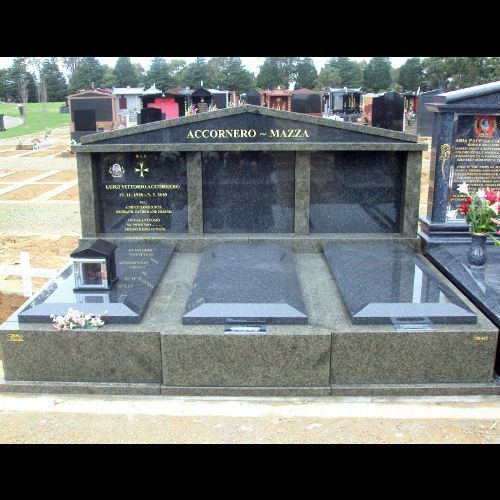 For almost 100 years, Lodge Bros Stonemasons has been one of Melbourne’s preferred stonemason businesses, custom designing and crafting burial gravestones for people of all ages who have passed away. In the event that you require a triple monument, whether it’s for cultural or circumstantial reasons, we can craft a loving tribute that is as respectful as it is elegant. We can also manufacture monuments to suit almost any budget, with rock, marble or granite options available that can be inscribed with a message of your choice. 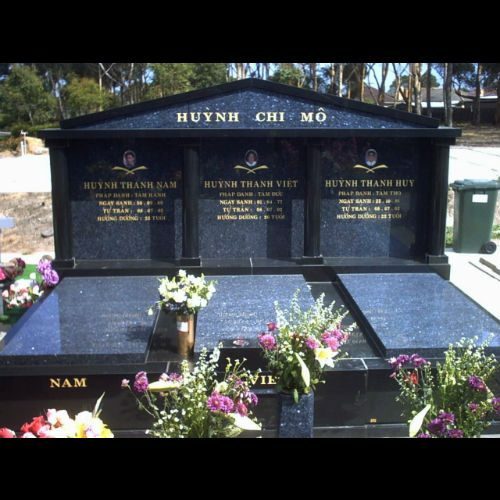 To obtain further information on our triple monuments, call us today on (03) 9497 2400. Alternatively you can make an enquiry online or view our gallery to explore some the triple monuments we’ve crafted in the past.